Payment term:30% as deposit before production, 70% balance paid against BL copy. 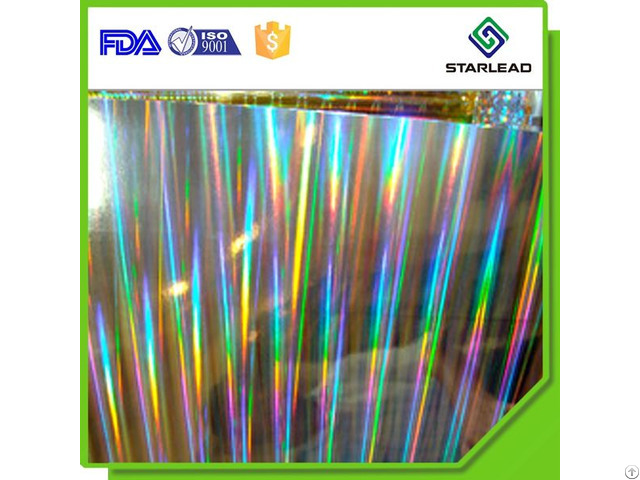 Posted By: Wenzhou Starlead Film Material Co., Ltd.
Business Description: We are the manufacturer of metallized film, holographic film, and glitter film in Wenzhou. Over 10 years working with kinds of flexible film, we can offer you good quality, low MOQ, quick delivery with a favorable price. For your quality inspection, we can provide free sample sheets or 100M sample roll(if available) with freight collect.